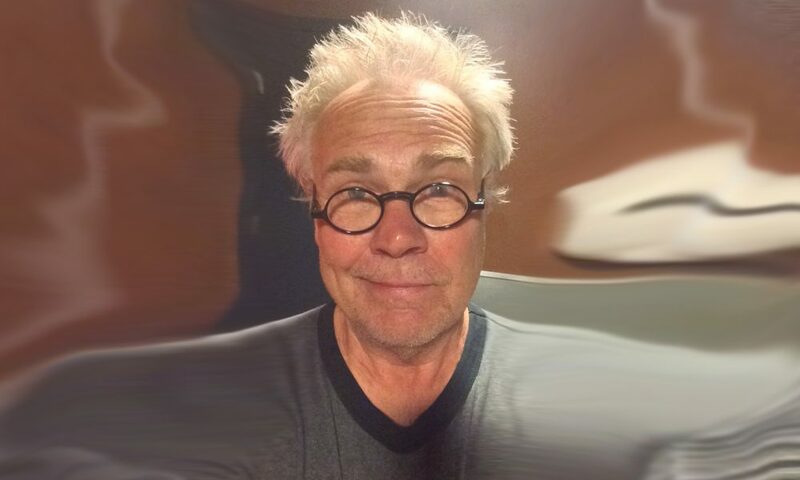 Today we’d like to introduce you to Bob Means. My wife and I, Marghe Means, bought this property in 1998. At the time everyone in the building were either manufacturing or their business was in the category of light industrial. As the years passed the City of Avondale was taking a second look at their business district and at the time seemed to desire more retail and an intention to let go of the manufacturing, industrial side of the district. There was no formal guideline or plan in place, Marghe and I knowing the intentions of the city decided to start creating art studios. Both of us have attended the Atlanta College of Art have a deep interest in housing and promoting the arts and that decision was something we were both excited to pursue. This idea was not totally new to us. We had already started creating band rehearsal rooms. By the time we decided to also develop spaces for artists, the rehearsal section was pretty much complete, with five rather elite rehearsal rooms, and a large gathering place complete with a stage and lighting. 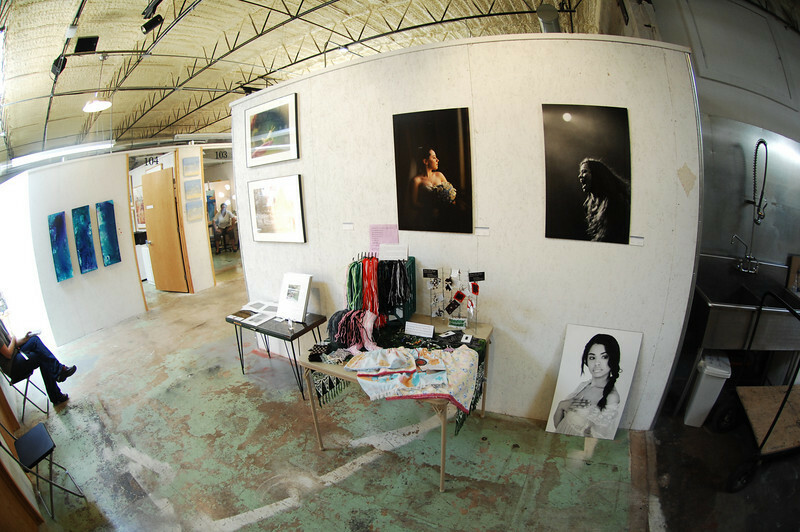 Today Little Tree has over 40 studios including painters, graphic design artists, photographers, musicians, fabric artists, jewelers, art consultant, bookmakers, music lesson studios, and more. Also within the property is a full facility recording studio and a computerized custom wood fabrication shop. The decision convert the building over to art studios has and had proved to be a good one. Shortly after we put in the first 13 studios came the crash of 2007. Fortunately, artists keep making their art and Little Tree started to turn into something that appealed very much to the City. Soon folks from outside the area started to come to see what was evolving at Little Tree. We’ve been fortunate over the years to be supported by Avondale Estates. We continue to work with them to bring more attention to the arts by co-creating events and programs. Most recently we have set aside a space to be used as a classroom. Only recently started, we’ve had Friday night gatherings, classes on resin pouring, encaustics, and art related meetings. We will soon be offering yoga classes and are in the process of scheduling several workshops on working with clay. Please feel free to visit our website, littletreeartstudios.com for more information. 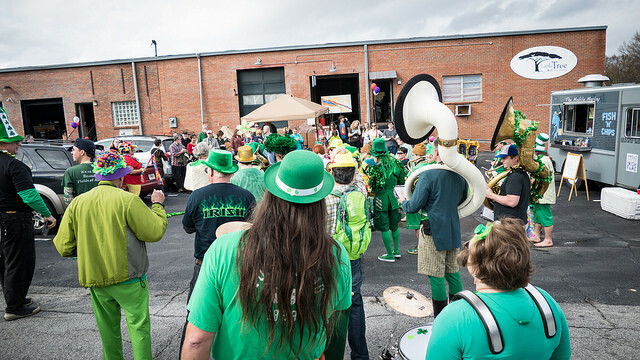 We have been fortunate that since the decision was made to convert these warehouse spaces into studios, we have been totally supported by the art groups, citizens, and the folks down at city hall every step of the way. Having set aside an area for a classroom, only recently, have we finally come to a sense of completion as to the vision we held ten years ago. The biggest challenge was the crash of 2007. Arranging financing to further improve the space was no longer doable and the progress of change was greatly slowed. However, we did what we could as we could and in the end do not those loans we would have taken out had we been able to. So let’s switch gears a bit and go into the Little Tree Art Studios story. Tell us more about the business. I moved into this building in 1994 when my company was Topp Props, Inc. At the time I was fabricating displays and fixtures for retail stores, many mom and pop stores, but also chains such as Macy’s South. Within a few years, I linked up with a Christmas display company and soon started building Christmas displays for shopping centers, expanding my employee base and manufacturing displays for several shopping centers a year. Those were fun times. Having a degree in painting and sculpting, those skills were used every day creating one-off times throughout the year. That was also very wearing having to figure out how to create the ‘next’ thing. As more studios were built and my role as ‘landlord’ expanded, less time was going to fabricating ‘things’ and was now directed at fabricating studios. Now it’s more than a full-time job keeping up with the comings and goings of 40 plus studios. Anything we’ve done at Little Tree was done with the artist/musician in mind. There was research behind any studio before it was built. For instance, each rehearsal room is insulated with recording studio insulation, double 5/8″ sheetrock, with each layer caulked from floor to ceiling to prevent sound leakage. 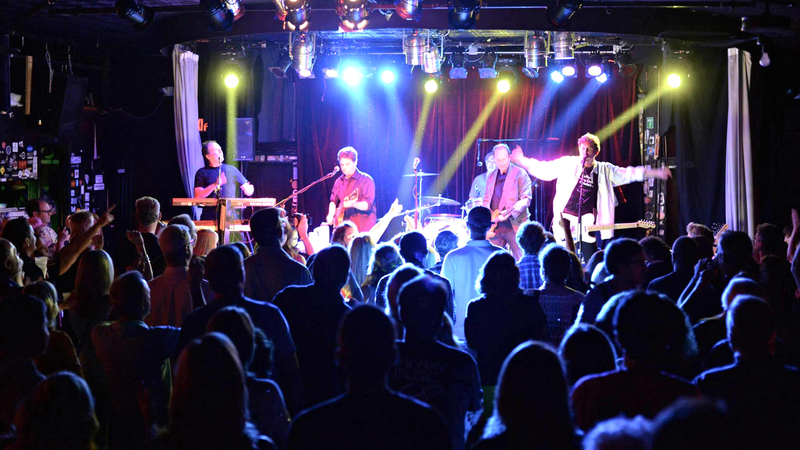 In addition, each room has adequate lighting, on dimmers, to facilitate a creative mood, but allowing bright light for packing up for the gig. A stage and main room are available to each tenant use per schedule. The Heat and Air are accessible to every room so the climate is always comfortable. 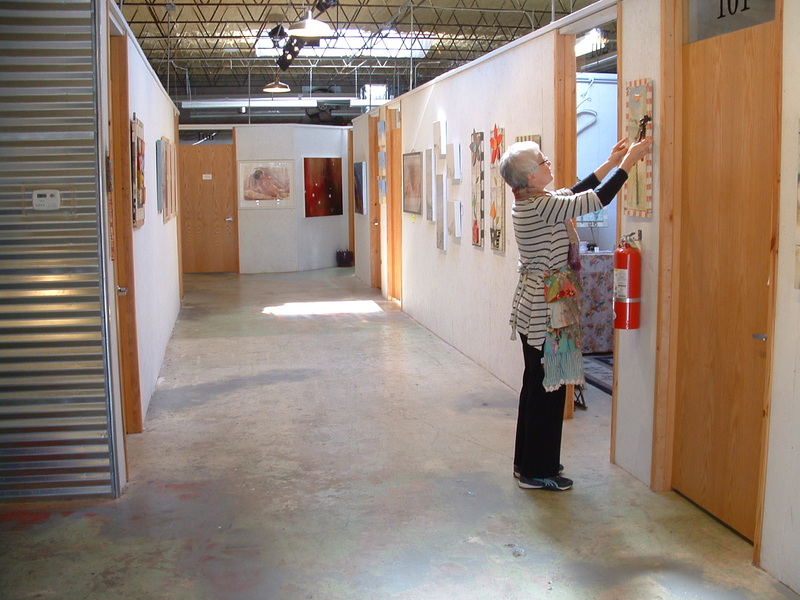 There are mostly open ceiling art studios, but a number of sealed private studios are also available. 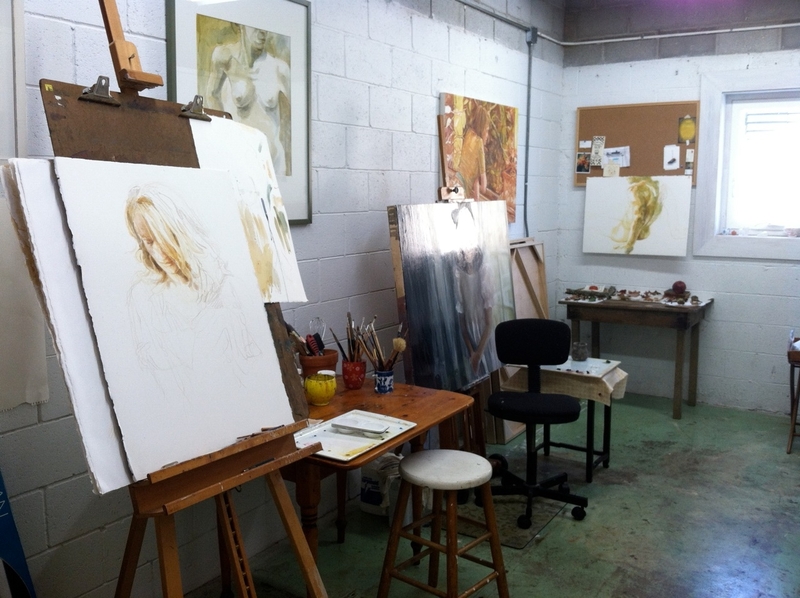 Every studio has bright daylight lighting, natural light in close proximity, and 24/7 access. 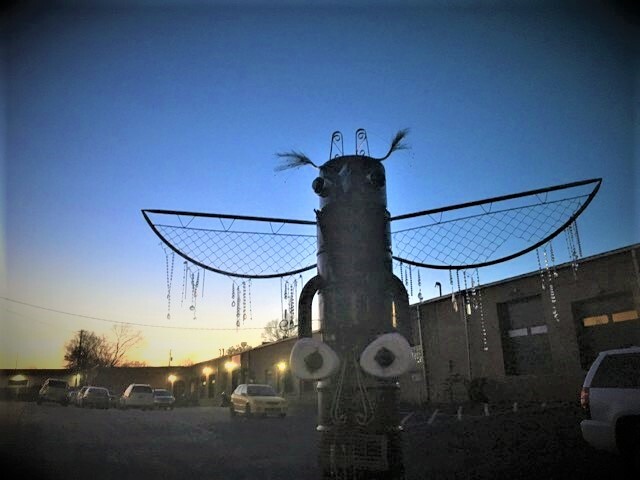 Little Tree participates and co-created several events per year to bring attention to the facility, the city, and to the individuals who choose to expose their art to the public. I suppose what sets us apart from many of the other studios is that most studios have several things an artist would want, but we strive to have them all. 24/7 access. Control over the climate (HVAC). Natural light. Privacy and doors that lock. A security system. Fair, if not the best, studio rates. 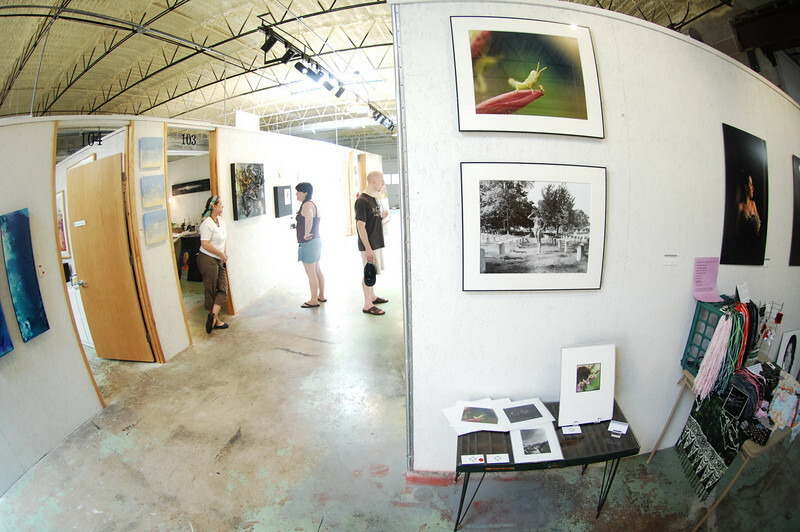 A clean facility with generous hallways with space to display your art. Clean bathrooms, and regular housekeeping and maintenance. We’re just proud of what we do. Little Tree is a really nice place to be full of people who want to be here. Birds of a feather flock together, so I suppose what makes us happy are the people who have chosen to be part of this. Those people are a reflection of who Marghe and I are. We’re good with that! The industry? As long as a country or society can generally feed and house themselves, then there’s time for creative thinking, the arts, music, and relaxation. There’s always change in the arts, usually shocking, for ten minutes, in the big scheme of things, but no big shifts. Since there will be big shifts as there always has been, then that’s nothing unusual. If I knew what the big shifts were, I’d do it and be next to the Picasso. If something shifts so dramatically that studios such as those at Little Tree are either abandoned or barred, we will have much greater concerns to deal with that takes the “shifting” question to another realm.